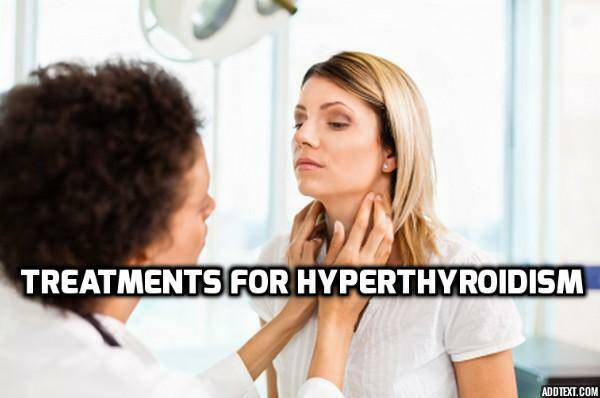 Hyperthyroidism is a condition in which the thyroid gland becomes hyperactive and starts producing an excessive amount of hormones triiodothyronine (T3) and hormones thyroxine (T4). It is an opposite condition to the hypothyroidism, in which the thyroid gland produces lesser amount of the T3 and T4 hormones than its average range. It is normally caused by Graves disease. 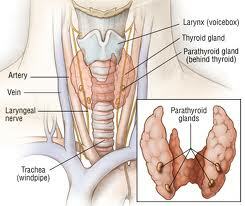 Graves disease is when your immune system attacks the thyroid gland. And later, the thyroid gland will start producing a lot of thyroid hormones to fight back the attack, which results in hyperthyroidism. At the same time, it is also caused by genetic factors. Some people have it because it runs in the family. Not only that, stress also contributes to one of the major causes of the disease. This time, HNBT will be sharing with you the treatments and natural cures for hyperthyroidism. Hyperthyroidism is capable of causing other health problems which makes it hard for it to be diagnosed. It also triggers a wide range of symptoms, also known as the side effects. Following are the symptoms and signs of hyperthyroidism. Hyperthyroidism often direct to a number of complications. However complications may vary in severity depending on the condition of the thyroid gland. Following are the complications caused by hyperthyroidism. Hyperthyroidism weight gain is however a rare complication. This is one of the most common complications of hyperthyroidism involving the heart. In this case, a hyperthyroidism patient will experience a rapid rate of heart beat, enlarged heart, change in heart rhythm and lastly heart failures. Heart failure is a condition when your heart fails to circulate enough blood to fulfill the needs of your body. This complication happens when the excessive amount of thyroid hormones accelerates the turnover rate of the bone ( an average cycle of a bone’s turnover is 200 days). When this process takes place repeatedly, the bone-building cells may fail to replace the bone in time, thus causing an increase in the overall rate of bone loss. And if the the thyroid hormones stay at peak for a long time, this may increase the risk of developing osteoporosis. Thyroid disease may also cause eye problems, a situation in which the eye tissue starts swelling. This pushes the eyeball forward and causes various symptoms like red and swollen eyes, bulging and aching of the eyes, doubled vision, blurring of vision and also colors may appear less vivid. This is however rare in cases whereby hyperthyroidism is caused by genetic factors. Research proves that at least 20% of female hyperthyroidism patients face problems to get pregnant every year. At the same time, a pregnant lady with hyperthyroidism may face several after and during-pregnancy problems like preterm labor, stillbirths, low birth-weight babies and miscarriages. Treatments for hyperthyroidism in women during pregnancy is limited as the safety of the baby is considered. For hyperthyroidism treatment, patients will be normally prescribed with Carbimazole. It does not help in destroying the hormones produced and stored, but helps in reducing the further production of the thyroid hormones. It may take 4-8 weeks of treatment to bring down the level of your thyroid hormones back to normal. But this however depends on the intensity of the thyroid hormones production. For some patients, it may take up to about 2 months to bring the thyroid hormones level back to normal. It is normally advisable for the patient to continue this medication for at least 12-18 months until the condition becomes completely settled down. The medication may be stopped afterward. If this condition repeats in future, another course of medication will be needed. As for hyperthyroidism treatment regarding pregnant women , drugs such as propylthiouracil (PTU) and methimazole (MMI) are used. PTU is normally the preferred drug as the MMI has been associated with some rare scalp condition of the fetus known as “aplasia cutis”. This is recommended if you’re older than 50, and having Graves’ disease. Radioiodine in the form of drinks, or capsules is taken to mainly build the thyroxine. By the intake of this, the radioactive iodine builds up in the wall of the thyroid gland which will result in the destroying of some thyroid tissues. This condition will help to reduce the amount of thyroxine, and bring down its rate slowly. However, it is not safe for women who are pregnant or breast feeding. It is also not soafe for women to become pregnant for the first 6 months after the treatment. For those with eye problems, you may use eye drops to relieve the dryness of your eyes. Eye drops with redness removers should be strictly avoided. Intake of Vitamin D is encouraged to treat thyroid naturally. Most thyroid patients avoid exposure to the sun due to the intolerance to heat, thus sometimes resulting in deficiency of Vitamin D.
Increase the intake of antioxidant foods, including fruits ( blueberries, cherries and tomatoes) and vegetables ( squash and bell pepper). Soy products are also great in treating hyperthyroidism as they are high in protein, which is crucial in transporting the thyroid hormones to the right parts of the body. If you do not fancy soy products, you may go for legumes, nuts, eggs and fish. These are all the information that we wish to share with you. If there are any other hyperthyroidism treatment or remedies that you know, do share them with us in HNBT.